Worried that you can’t find your glasses until someone tells you they’re on your head? Don’t be. We used to think that after the age of eight or nine, it was all downhill. The brain couldn’t change, but would only engage in a long process of degeneration. Luckily, things have changed, says psychotherapist Bo Forbes. Neuroscience now tells us that the brain is changing every moment and has the capacity for change even past the moment of clinical death. The study of neuroplasticity demands an understanding of how the nervous system integrates change. Although it’s true we learn from experience, if an experience is too divergent from what we’ve known before, Forbes warns, the nervous system kicks in and creates a neurological backlash that causes us to return to our original pattern of behavior or thought—and if that pattern isn’t healthy, we’re right back where we started. 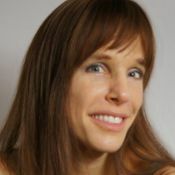 Today, yoga therapists are seeking to scaffold new experiences into their clients’ therapy in subtle ways, progressively over time, in the recognition that a series of small, subtle shifts in the opposite direction of the trauma, depression, or anxiety activates the plastic response of the brain away from the client’s disorder, so that the new mode of thought or behavior becomes integrated into the mind-body network. Click on the video and listen to Forbes delve even deeper into the fascinating frontier of neuroplasticity. How has learning about neuroplasticity changed your perspective about your health? Please comment below.